We’ve been following the saga forever, but the vote finally happened Thursday afternoon — we had it live as it happened on Federal News Radio 1500 AM’s Daily Debrief with Chris Dorobek and Amy Morris — the Senate first voted to close debate on the Johnson nomination … and then proceeded to confirm Martha N. Johnson as the new administrator of the General Services Administration. One curious note: When the vote was first taken, it was 94-2 — four senators (Coburn, Benett, Isaskson and Hutchinson) did not vote — and two senators, Jim Bunning and Jeff Sessions, voted against. But the officially tally as posted by the Senate’s Web site shows a 96-0 vote. I’m not sure how that works, exactly. And, ironically, Sen. Kit Bond (R-MO) — the senator who had held up Johnson’s vote — voted to confirm Johnson. But that came after an impassioned floor speech. I have also pulled selective clips from Sen. Bond’s speech. We’ve got a huge backlog of folks who are unanimously viewed as well qualified, nobody has a specific objection to them, but end up having a hold on them because of some completely unrelated piece of business. That’s an example … of the kind of stuff that Americans just don’t understand. WASHINGTON—Homeland Security and Governmental Affairs Committee Chairman Joe Lieberman, ID-Conn., and Ranking Member Susan Collins, R-Me., Thursday welcomed the confirmation of Martha Johnson to be General Services Administration (GSA) Administrator. Johnson, who was unanimously approved by the Committee on June 8, 2009, was confirmed by a vote of 94-2. Her confirmation had been blocked for six months for reasons unrelated to her qualifications. “I am delighted the Senate has finally voted to confirm Ms. Johnson, an extremely qualified and experienced nominee, so she can begin her important work on behalf of the American people,” Lieberman said. “The hold that had been placed on her for six months had nothing to do with her qualifications or personal history. Her nomination received the unanimous support of the Homeland Security and Governmental Affairs Committee in June and she has overwhelming bipartisan support in the full Senate. “We cannot continue the practice of holding nominees ‘hostage’ for parochial reasons unrelated to a nominee’s ability to do the job they’ve been they’ve been nominated for. These kinds of things anger the public and damage the Senate as an institution. Yesterday on Federal News Radio 1500 AM’s Daily Debrief with Chris Dorobek and Amy Morris, we spoke with Bob Woods, the president of TopSide Consulting and the former commissioner of GSA’s then Federal Technology Service. He noted that one of the challenges Johnson faces is the pent up anticipation around her nomination — there is so much hope for her, if she doesn’t walk on water, people will end up being disappointed. I’m sure she will be getting a lot of advice in the coming days, weeks, months… and years. One of the key Obama administration posts still vacant is the role of GSA administrator. Of course, Martha Johnson was nominated in April, and she made it through the Senate committee in June, but her nomination has been… on hold… literally. What do Reno, Orlando and Las Vegas have in common? To some pockets of the federal government, they just seem like too much fun. Instead, employees at some big agencies, like the U.S. Department of Agriculture, are being encouraged to host meetings in more buttoned-down places such as St. Louis, Milwaukee or Denver…. Earlier this month, Nevada Sen. Harry Reid, the chamber’s majority leader, expressed concern to the White House about a prohibition on government travel to resort destinations. White House Chief of Staff Rahm Emanuel wrote back saying that government travel “is not focused on specific destinations,” but on cost and efficiency. The General Services Administration, which sets the amount government employees can spend per day at each destination, has no ban on locations. But some agencies appear to be instituting their own guidelines that dictate where events should be held. According to an Agriculture Department employee familiar with the guidelines, the agency issued internal travel guidelines in the spring that encourage employees to hold meetings in cities that display three key attributes: a travel hub; low in cost; and “a non-resort location.” The employee said cities on the list with those three attributes included Chicago; Denver; Portland, Ore.; St. Louis; Washington, D.C.; Milwaukee; Phoenix and Fort Collins, Colo. Resort locations aren’t banned, “but you have to provide robust justification” to supervisors for approval to hold an event there, the employee said. Apparently there never was a ban on travel to the hurting Las Vegas — although there is a lot of mis-information out there about travel. Sen. Kit Bond is blocking approval of the president’s choice to lead the General Services Administration, adding pressure on Washington to approve a proposed downtown federal office building. Bond, who has been a leader in the effort to build the estimated $175 million project since it was first proposed in 2006, has placed a hold on the appointment of Martha Johnson. Johnson, a former GSA chief of staff, was recommended for the post by President Barack Obama in April and was endorsed by the Senate Government Affairs Committee in June. The GSA acts as the federal government’s landlord and also buys goods and services for federal agencies. Bond could not be reached for comment Friday, but an aide confirmed his decision to block Johnson’s appointment. Of course, it still is a bit remarkable that senators can put holds on nominations without having to be up front about it. We’ll continue to track the story. One can assume that this will get resolved soon — one way or another. The Senate Friday confirmed the nomination of Jeffrey Zients to be the OMB deputy director of management and the Obama administration’s chief performance officer. 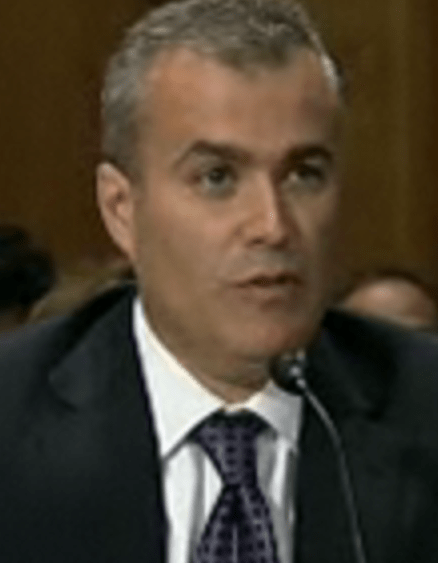 The Senate Homeland Security Committee had signed off on his nomination earlier in the month. Zients replaces Clay Johnson, who served as the OMB deputy director of management during most of the Bush administration. The Senate, however, did not take action on the nomination of Martha Johnson to be the administrator of the General Services Administration, the other position that we have been watching carefully. We’ve been hearing that a number of posts have been held up in a Senate squabble over the Supreme Court nomination process and when that should be scheduled. * OMB director Peter Orszag posted a blog welcome to Zients. * Federal News Radio Max Cacas was at the hearing. Hear that report here. * Jon Desenberg, Policy Director at the Performance Institute, spoke to Francis Rose of Federal News Radio 1500 AM’s In Depth with Francis Rose, about the role of the chief performance officer. Hear that here. * And the DorobekInsider CTO and CPO reader. The other posts confirmed by the Senate on Friday can be found here.